General features Revolutionary hid flashlight makes a bright white illumination even in the dark crevices. Compared with a halogen bulb, the hid flashlight produces much brighter light beam but saves energy, and what`s more its usage life is prolonged. It's really like a stadium light! 1.Output: 3700 lumens max of hid xenon brightness. 2.Focus is adjustable with changeable intensity: (two level: full brightness, 2/3 brightness). 3.Large lamp housing provides wider effective range. 4.Cartridge-style, 11.1v 5200mah li-ion rechargeable battery pack can provide more than 140mins running time once, and it is easy to swap. 5.Portability: carried by hand or strapped to a belt. 6.Convenient recharging: ac charger and car charger. 7.Optional amber filter for a more bright lightbeam in foggy environment. 8.The entire unit is constructed with tough aluminium material. 9.Water-proof design suitable for any terrain. Description These rugged new hid flashlight is capable of illuminating targets far away 1500m. The extremely bright light produced by x1 flashlight, the focused beam keeps more lumens per watt on your target than other high-power flashlights. The beam provides excellent peripheral vision at 1500m. The bulb can form the most bright point after turned on about 30 seconds, which is the hid great advantage. However, if you want to adjust the focus, it is better to do that after 10 seconds start-up. The effect will be nice and obvious to do so. Applications X1 is ideal for military, law enforcement, border patrol, fire departments, marine/coast guard, detector, police, rescuers, and other public and private security organizations. Furthermore, x1 is also ideal for recreational activities such as camping, hunting, night fishing, outdoor night game---hiking, aviation, boating in case of an emergency. HID diving torch Using the newest HID lamplight system,super bright HID bulb is more efficient and more electrical energy saving than the standard bulb.The light of the HID flashlight seems as white bright as the sunshine .the penetrability in the outdoor is further than any traditional halogen lights. Product Features: Working environment temperature -20 ~ +50C Starting environment temperature 0 ~ +50C Waterproof degree underwater :100m Continual illuminate time í¦ 120mins Brightness 2500LM Bulb life-span í+3000hrs Irradiation distance í_1000 Color temperature 6000K (Option:4200K, 5000K,8000K,10000K) Optical efficiency 60LM/W Material :ALU Weight 1.56kg Size:215.7*88.2mm Electricity parameters: Ballast input voltage 9 ~ 16V Working voltage 12.6V Working current 2A Starting max current 8A Power output 35W Output temporary max voltage: 23KV Battery mode ICR18650X3S3P(6600mAh) Battery charge voltage 12.6V í+ 0.1V Battery lifespan (charge and discharge times) í¦500 times. 1,Size:28cm*22cm*18cm 2,Weight:2.5KG 3,package:5pcs/carton. Hid diving torch Using the newest hid lamplight system, super bright hid bulb is more efficient and more electrical energy saving than the standard bulb.The light of the hid flashlight seems as white bright as the sunshine .The penetrability in the outdoor is further than any traditional halogen lights. Product features: Working environment temperature -20 ~ +50c Starting environment temperature 0 ~ +50c Waterproof degree underwater :100m Continual illuminate time í² 120mins Brightness 2500lm Bulb life-span í÷3000hrs Irradiation distance ín1000 Color temperature 6000k (option:4200k, 5000k, 8000k, 10000k) Optical efficiency 60lm/w Material :alu Weight 1.56kg Size:215.7*88.2mm Electricity parameters: Ballast input voltage 9 ~ 16v Working voltage 12.6v Working current 2a Starting max current 8a Power output 35w Output temporary max voltage: 23kv Battery mode icr18650x3s3p(6600mah) Battery charge voltage 12.6v ía 0.1v Battery lifespan (charge and discharge times) í²500 times. 1, size:28cm*22cm*18cm 2, weight:2.5kg 3, package:5pcs/carton. Short on time? Let hid-flashlight sellers contact you. 6000LM Brightness Super HID Flashlight Torch with 65w/45w/35w gear With new SOS function ---Long press the button The general international SOS ,is three short -three long-three short, constantly cycle. Every minute flashing 6 times, halt 1 minute, then repeat signal; When meet bad guy,the SOS can as weapons to hurt his eyes Size:the total length of 380mm, Lamp holder diameter 84mm, Handle diameter 46mm. 1. Ballast input voltage: 9 ~ 16V 2. Working current: 5.4 A 3. Output power:first gear 65W,second gear 45W,third gear 35W 4. Battery types: 6600mAh Battery 5. Charging and discharging times: 500 times 6. 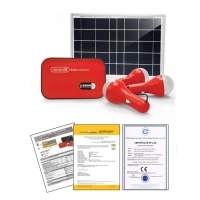 Accessories: 3A charger, filter, braces, car charger, aluminum alloy packaging, 6600MAH batteries. 7. Three gears. Senmei International Co., Ltd . HID diving torch Using the newest HID lamplight system,super bright HID bulb is more efficient and more electrical energy saving than the standard bulb.The light of the HID flashlight seems as white bright as the sunshine .the penetrability in the outdoor is further than any traditional halogen lights. Product Features: Working environment temperature -20 ~ +50C Starting environment temperature 0 ~ +50C Waterproof degree underwater :100m Continual illuminate time í¦ 120mins Brightness 2500LM Bulb life-span í+3000hrs Irradiation distance í_1000 Color temperature 6000K (Option:4200K, 5000K,8000K,10000K) Optical efficiency 60LM/W Material :ALU Weight 1.56kg Size:215.7*88.2mm Electricity parameters: Ballast input voltage 9 ~ 16V Working voltage 12.6V Working current 2A Starting max current 8A Power output 35W Output temporary max voltage: 23KV Battery mode ICR18650X3S3P(6600mAh) Battery charge voltage 12.6V í+ 0.1V Battery lifespan (charge and discharge times) í¦500 times. 1,Size:28cm*22cm*18cm 2,weight:2.5KG 3,package:5pcs/corton. Running Outdoor Goods Co., Ltd.
Cree led flashlight, led rechargeable flashlight, tactical led flashlights, bright led flashlight, led flashlights wholesale, rgb led, led torch, mini led flashlight, led flood lamp, china led flashlights, led flashlight lumens, best led flashlights, hid(high intensity discharge) flashlight, super bright leds, high bright led, powerfule flashlight, great flashlight, intense flashlight, waterproof flashlights, security products, safety, protection safety. Carton box. Hid flashlight, HID torch, diving light, diving torch, bulb. 3 LED flashlight Battery life time:24 hours Bulb life time:100000 hours Bulb type:LED It can illuminate after its side crank is pressed down. No need any power, no environmental pollution low noise and health, comparing with common torch, it can be several times on lift. Constantly using this health torch, it can benefit to your palm, arm and shoulder stretching and blood circulation, so as to let your hands relax and brain clever, promote your brain memory and health composition. 144pcs/carton 12kgs/carton Carton size: 450mmx290mmx260mm. Ningbo Jmant Promo Co., Ltd. Led : 13000mcd, Battery:AAA/AA/AG10/AG13/LR41 Material:aluminum alloy , plastic/rubber Printing logo welcome , oem Suit for outdoors , indoor , travel. Export cartoon. Flashlight, torch Size:aaa, aa, c, d. Material:plastic, aluminum. We supply a variety of flashlight, torch;other travel products;camping accessories. 48pcs/ctn, pdq. Power adapter, motor controller, HID flashlight, writing board, power supply. Hid hid convertion kit hid ballast xenon lamo flashlight.